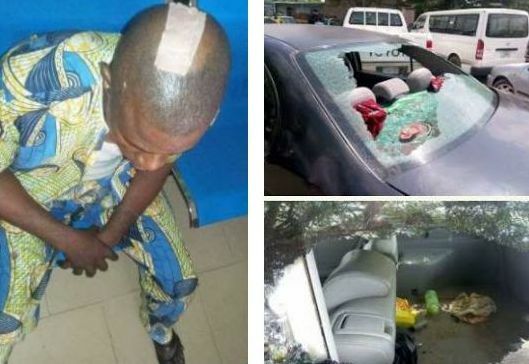 Two workers of the Institute of Agricultural Research and Training, Ibadan, Oyo State, are receiving treatment at the University College, Ibadan, after they were hit by bullets during a clash between the police and students of the Federal College of Agriculture, Ibadan on Monday. The college, the research institute and the Federal College of Animal Health and Technology share the same premises at the Moor plantation. Crisis erupted on Monday when the students of FCA clashed with the police during a protest against their inability to receive lectures due to a disagreement between the school Provost, Dr Babajide Adelekan, and the lecturers. 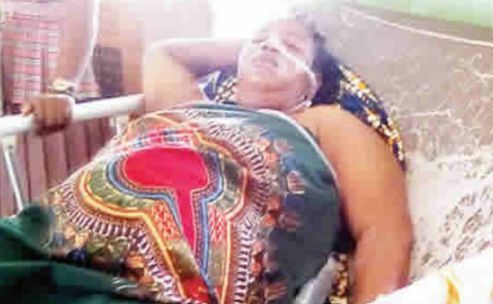 The Punch correspondent, who visited the UCH on Tuesday, observed that one of the injured, Mrs. Helen Adekanmi, who works at the Crop Production Unit of the research institute, was admitted to the South-West 1 ward of the hospital after a surgery on Monday night. The bullet pierced through her navel and ruptured part of her lower abdomen. Although she could not speak when our correspondent visited her at the ward, the Public Relations Officer of the institute, Mr. Adeniyi Hamzat, said the police stray bullet hit her when they shot towards the offices of the institute. Also, Miss Kobaju Busayo, who was observing her Industrial Training programme at the institute, was being attended to at the Emergency Care Unit of the UCH. It was learnt that a bullet also pierced through her left thigh, causing severe damage to the leg. Apart from the workers of the institute, two vehicles belonging to lecturers of FCA were vandalised, while the students claimed that eight of their colleagues were injured. They also refuted police claim that eight police vans were damaged during the unrest. One of the students, who identified himself only as Oladeji, said, “The protest was peaceful at first. It was to create awareness to what we have been facing for the past three months. The institution had been practically closed during the period. Around 9am, policemen from the Apata division came and we expressed our grievances to them. “Thirty minutes later, they returned with guns and tear gas. They shot at us and we went back to the institution and closed our gates. Ten minutes later, they returned with Armoured Personnel Carriers, which they drove round the school. They attacked us with planks, axes and guns. The school’s Assistant Chief Technologist, Adisa Lawal, who claimed that his car was damaged in the protest, said the car was parked outside the premises when the students locked the gate. “The gunshots lasted three hours. When it stopped, I went to take my car, but I met it vandalised; I don’t know who did it,” he said. Another worker of the school, Lawal Adesola, said his car was parked outside the school gate and that when he returned to pick it, it was damaged. When contacted for comment on a picture showing a policeman with an axe and seemingly attacking a student, the state Police Public Relations Officer, Adekunle Ajisebutu, said it was one of the weapons recovered from the students. “That (axe) was one of the weapons recovered from the students. Policemen don’t use axe. Whoever posted that picture online is being mischievous,” he added. Ajisebutu said he was not aware that the police shot at anyone, while also directing our correspondent to the state Commissioner of Police, Abiodun Odude, for further comments. He denied the claim that police shot the victims, accusing students of being in possession of firearms. Meanwhile, it was gathered that some students of the school on Tuesday went on the rampage and destroyed glass windows of the school buildings. According to a source, the students took the action because five of their colleagues were arrested by the police in connection with the crisis. He said the youths had issued a 24-hour ultimatum to the police after which they would burn down the administrative department of the school if their colleagues were not released.